Born in 1961, Robert Wiebe has more than 30 years experience designing, implementing and testing software. He wrote his first game in 1979, as a high school student, using 6502 assembler code on an Ohio Scientific C2-4P computer with 8k RAM. More recently, he has focused on developing games and utilities for Android, iOS and OS X. He has written the following Apps: Video Kiosk, ShredIt, NetShred, Coconut Hut, and many more. 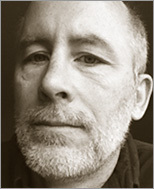 His interest include a vintage computer collection which includes many pre-IBM PC era microcomputers; the Unity 2D/3D game engine; developing video series; writing books; and researching virtual reality games. In addition to writing games, he has experience developing software in a number of industries, including mining, finance and communications. He has worked for a number of employers including Motorola as a Senior Systems Architect pioneering 2 way wireless data systems and Infowave Software as the Software Development Manager for their Imaging Division. After working for other people’s companies, he founded his own companies, Mireth Technology and BurningThumb Studios, which are his primary interests today.